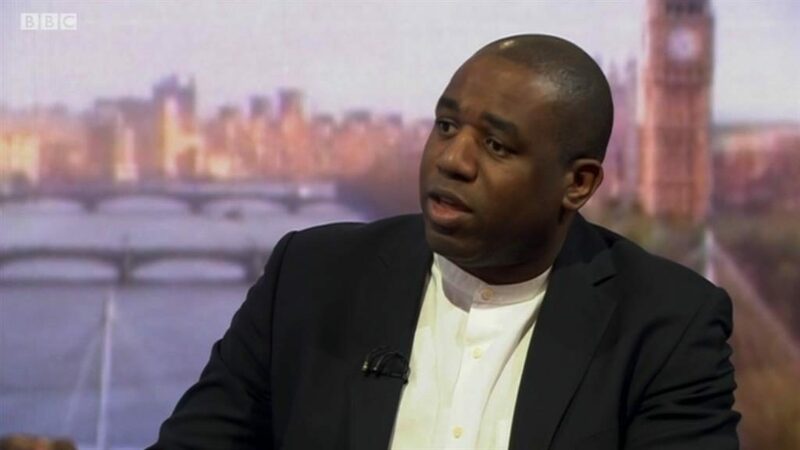 LABOUR MP David Lammy has defended comparing some Tory Brexiteers to Nazis — and said his comments were ‘not strong enough’. The campaigner for a second referendum hit out at Conservative MP members of the European Research Group (ERG) who have urged Theresa May to take a tougher stance on EU withdrawal. When asked on BBC1’s Andrew Marr Show if a comparison he previously made between the ERG and the Nazi Party and South African racists was unacceptable, he said he stood by his views. The Tottenham MP said: ‘I would say that that wasn’t strong enough. In 1938 there were allies who hatched a plan for Hitler to annex part of Czechoslovakia, and Churchill said no. Mr Rees-Mogg has previously denied supporting the AfD which campaigns for tougher immigration laws.